An eye shadow palette in a very special package! It smells delicious, feels super soft and as soon as you open this tasteful donut you will fall in love with the beautiful and intense eye shadow colors at a glance! I Heart Revolution Donuts Raspberry Icing Eyeshadow Palette is an eye shadow palette in a very special package! It smells delicious, feels super soft and as soon as you open this tasteful donut you will fall in love with the beautiful and intense eye shadow colors at a glance! This palette contains 5 intensely pigmented shades with both a matte and shimmer finish. The shades can be used alone, but the ultra blendable formula also makes them perfect to combine. 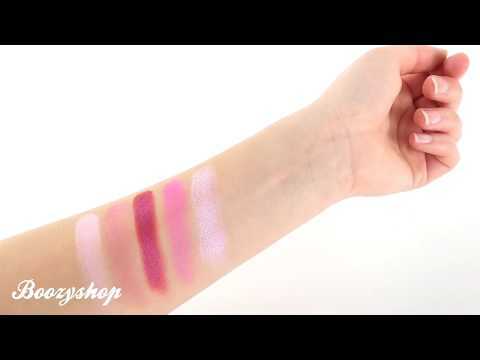 The shades are easy to fade and blend seamlessly! You want this sweet temptation, don't you? And the greatest part is that you purchase this calorie bomb without feeling guilty!